I’m so excited to be writing this post today, because I’ve been playing with the Naked 3 for a few days now and can’t wait to show you some swatches! I ordered it a few weeks ago when Sephora sent out the $20 off $50 VIB coupon, and had it sent it home so it would be waiting for me when I got here. 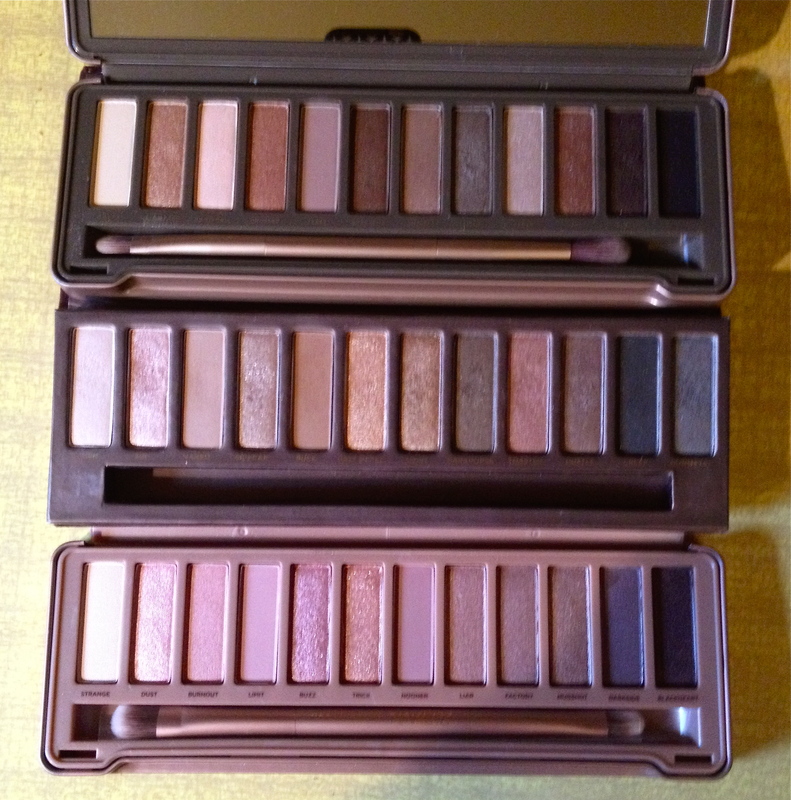 My first impression when seeing the palettes together was that the Naked 1 and 2 have more similar colors, which is why I don’t own both, but the Naked 1 and 3 are similar in terms of the range of colors you get from it. Naked 2 seems to have a lot of very light and very dark colors, whereas the other two seem to offer more medium-toned shades. Obviously, the choice among the three is up to preference. If you prefer the “basic” nudes, Naked 1 or 2 is better for you. Generally, Naked 1 has more warm tones and 2 has cool tones, but also keep in mind the range of colors each palette offers. If you really want a full range of colors, you’ll end up with a warm palette, so then the choice is between Naked 1, which has many different tones, or Naked 3, which has rosy tones. I realize I’ve never swatched out the original Naked palette, and even though you can find these anywhere, I thought it would be helpful to include them here to compare to Naked 3. Virgin is a soft satin pink, Sin a shimmery champagne pink, and Naked a matte soft brown. Sidecar is a shimmery light brown with glitter, Buck a matte warm brown, and Half Baked a shimmery gold. 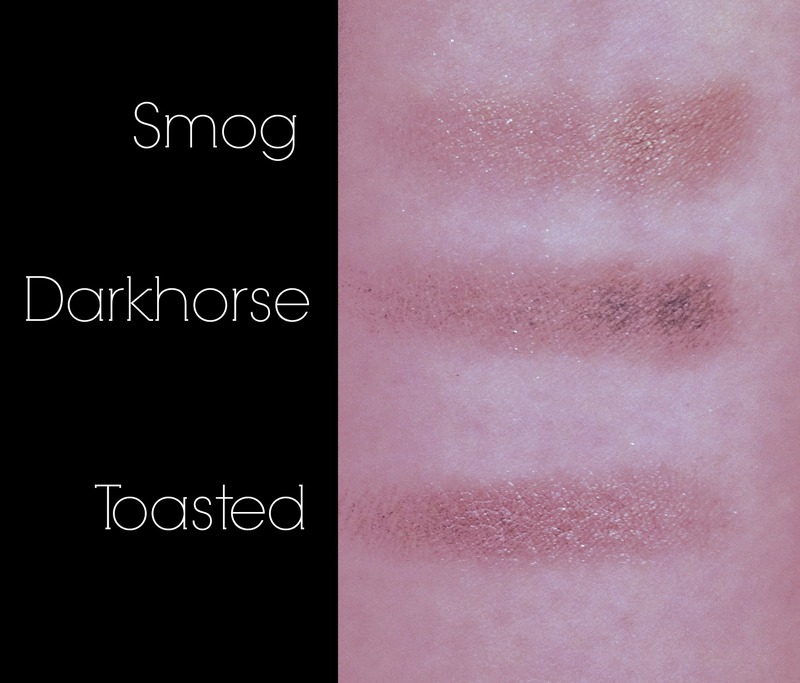 Smog is a shimmery bronze-gold, Darkhorse a shimmery dark golden brown, and Toasted a shimmery pinkish brown. 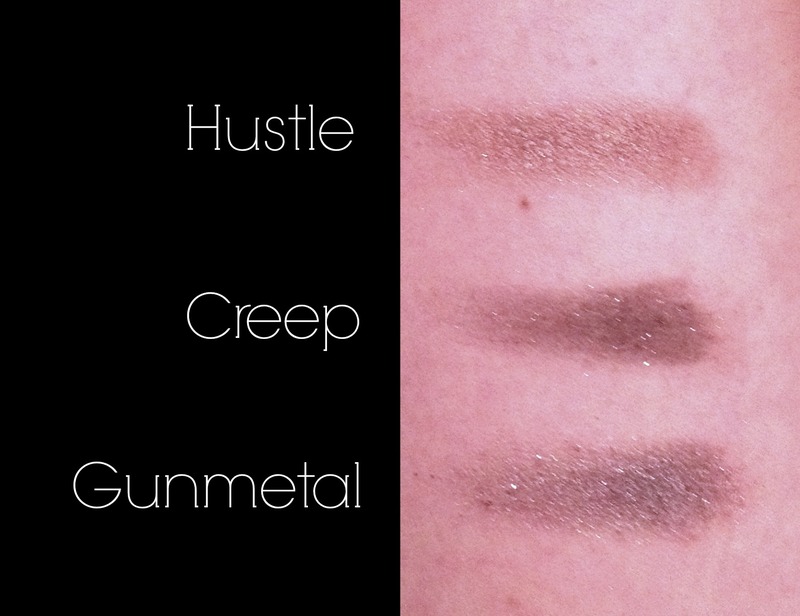 Hustle is a shimmery dark brown, Creep a glittery black, and Gunmetal a cool shimmery grey. Now for the new palette! Strange is a matte pinkish white, a great brow highlight. It’s REALLY hard to get the swatch to show in photos, but in person it’s definitely noticeable. Dust a shimmery light pink. 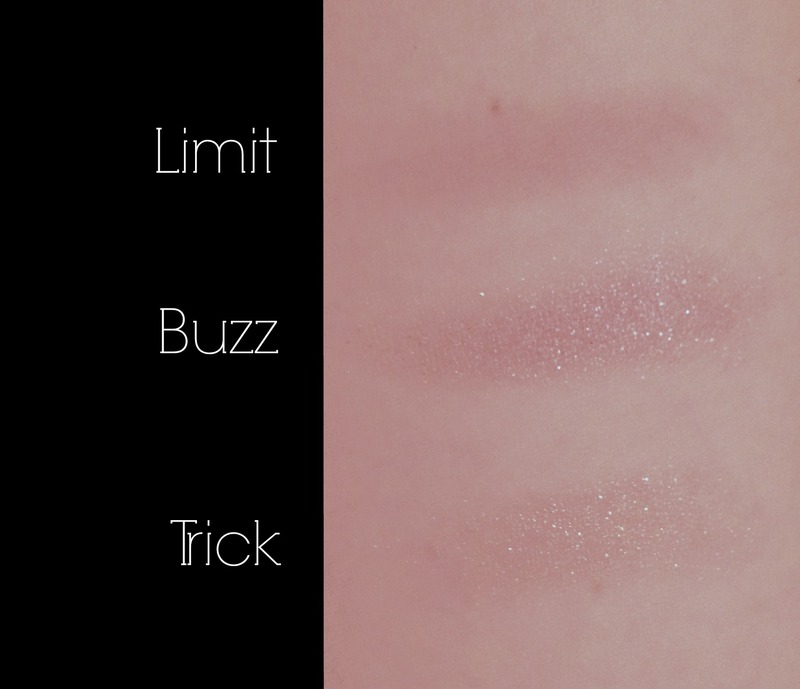 Some bloggers have said Dust is a bit chunky and glittery, but I’ve only noticed that when using a brush, so if you want to use this all over the lid I suggest using your finger instead. Burnout is a satin/shimmer peachy pink. This one was a bit more difficult to build up, and looks very muted on the eye. Limit is a matte dusty rose. It is really smooth for a matte shadow. Buzz is a very shimmery rose. Trick is a rosy gold. This shadow felt hard and didn’t swatch smoothly, which is a bummer because it’s so beautiful in the pan! It seems like the best way to get this shade to show up is to use a base color like white or champagne underneath. Nooner is a matte pinkish brown, and works well in the crease. This one is also very smooth and buttery. Liar is a shimmery light brown with a bit of a pink shift. Factory is a shimmery brown. 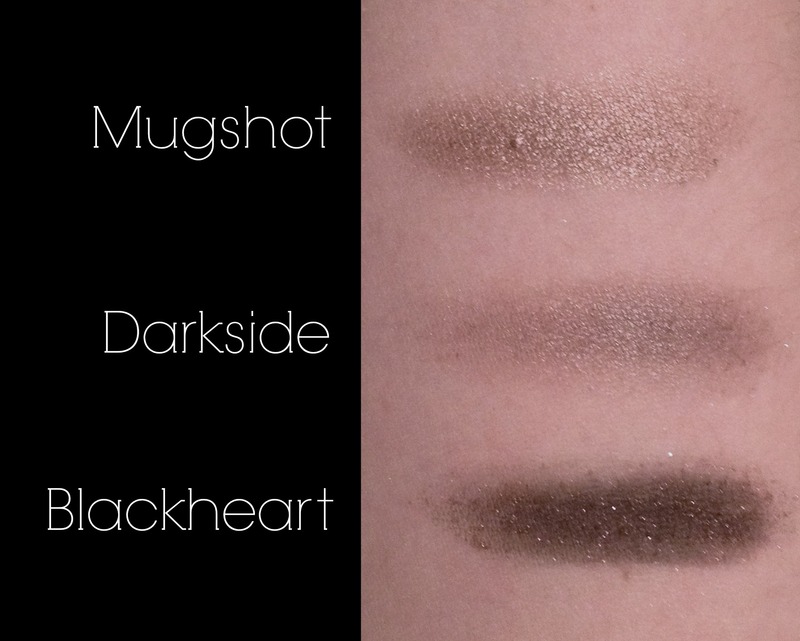 Mugshot is a shimmery brown, similar to Liar but without the pink shift. Darkside is a satin warm grey-brown. It feels a bit chalky and took a bit of effort to build up. I used this as a liner on my upper lashes and it took some work, but looked really natural. Blackheart is a black with red glitter. I haven’t tried this on the lids yet, so I can’t yet speak to how it blends, but it worked really well as a liner! 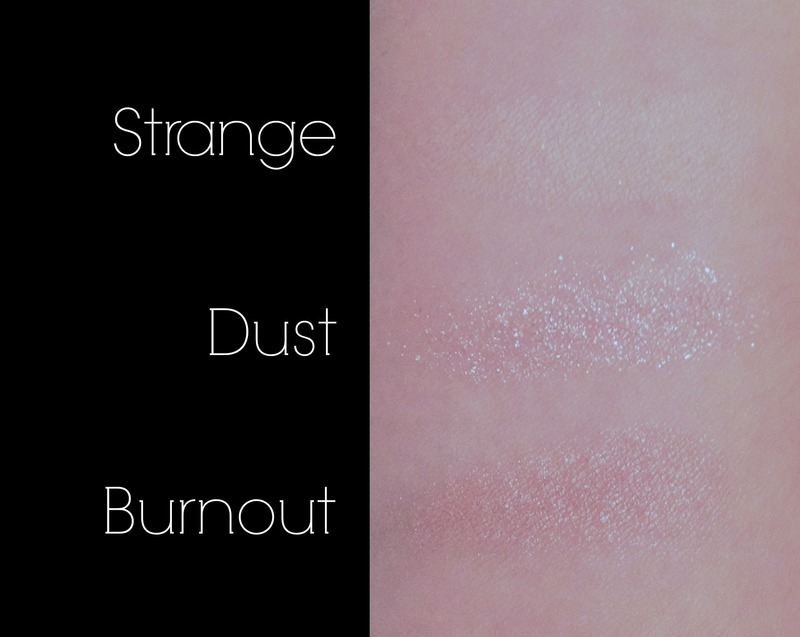 Virgin and Strange are extremely similar except for the finish – Virgin is satin while Strange is matte. 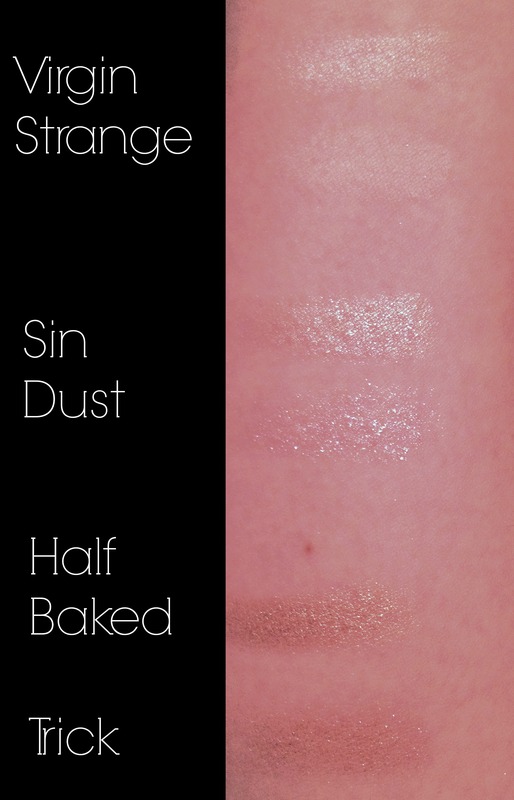 Sin definitely shows up as more of a champagne pink than Dust, which looks more rosy. 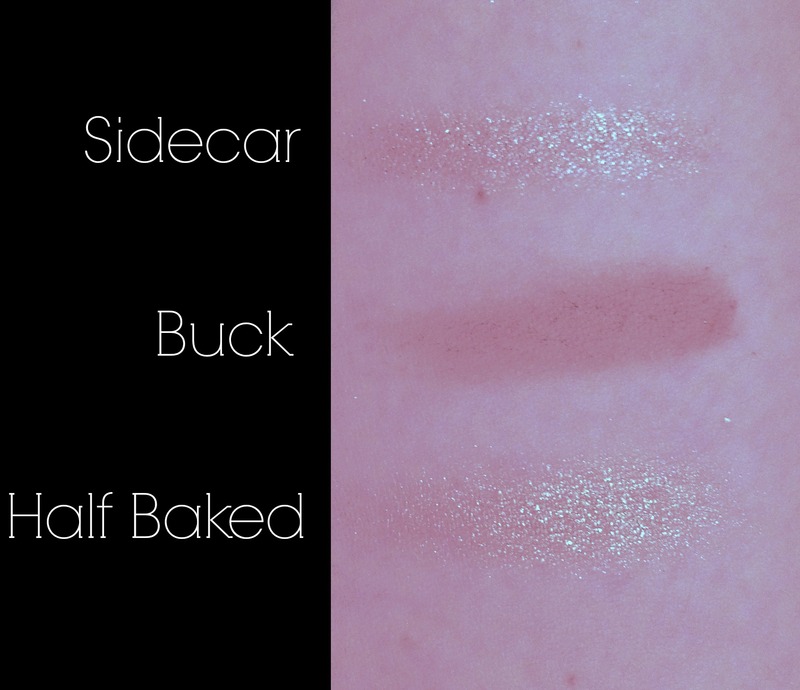 Half Baked and Trick are extremely similar, but HB is more of a true gold while Trick has a pink tone to it. Toasted, Liar, and Mugshot are all in a similar family. Toasted and Liar both look like brownish-pinks, but the pink in Liar comes from its shift, whereas the pink in Toasted comes from the actual color of the shadow. Mugshot is a warmer brown, but less “pink” than Toasted. 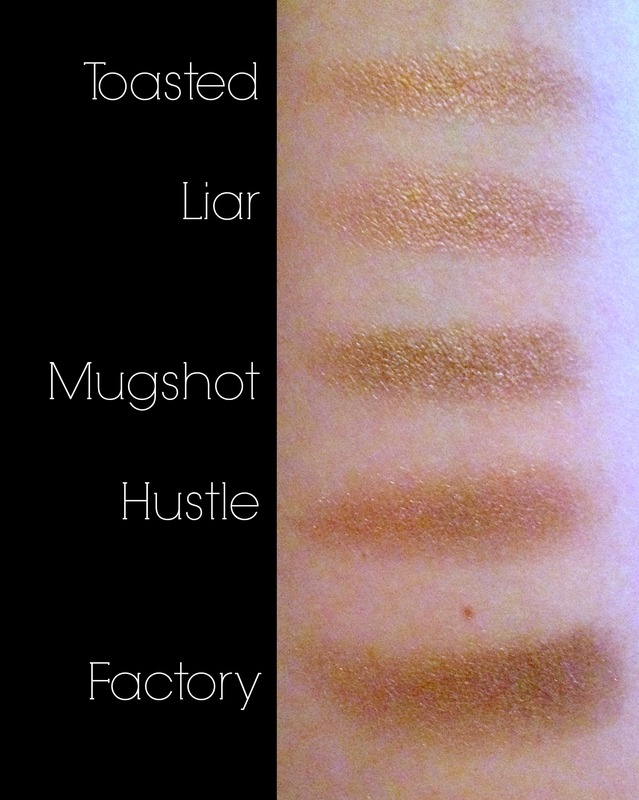 Hustle and Factory are similar brown shimmers, but Factory goes on a bit darker. Hustle also has more of a plum tone rather than pink. Of course, I’m in love with this palette so far. I don’t think any of these shadows are a complete miss, and I know I’ll get use out of every single one. 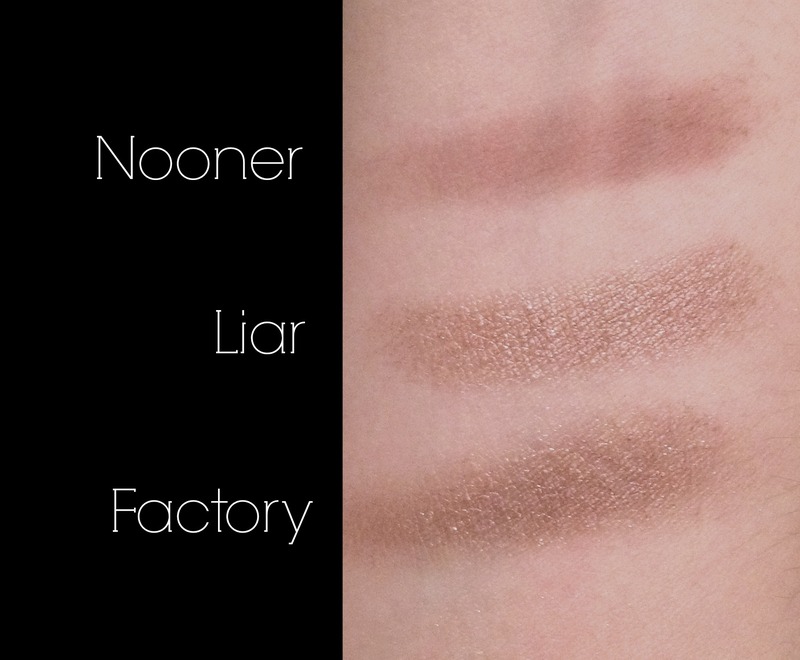 My favorite shades so far are Strange, Liar, and Nooner. Trick and Burnout would take the cake if they weren’t so difficult to build up, but perhaps they’ll perform better after a little breaking in. My favorite look so far is a really simple look with Limit on the lid, Nooner in the crease, Dust on the inner corners, and Liar in the outer corners. I paired it with a red lip for Christmas. Beautiful! Have you had your eye on the Naked 3, or were you first in line when it came out? 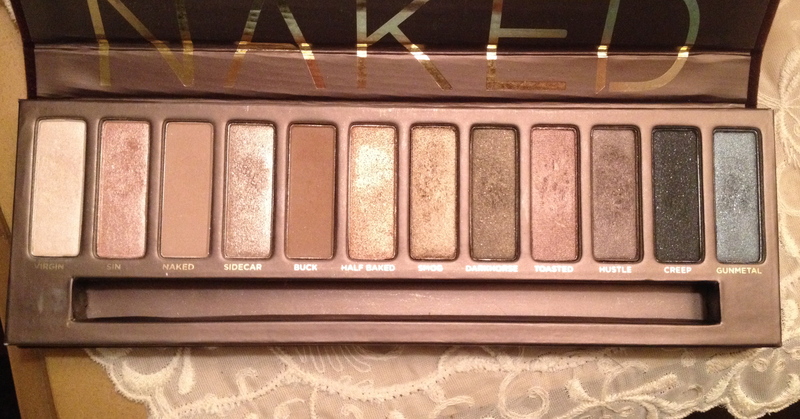 Which Naked palette is your favorite/first on your wish list? Thanks so much for this, it’s exactly what I was looking for! Awesome review! You should post looks you’ve created with the Naked 3 Palette on LookMazing and you’ll get featured alongside other beauty bloggers! Jealous that you own all three… I think #2 is my fave… Still coveting it and have yet to buy. Great post! Actually, I borrowed my sister’s #2 for the photo! I only have 1 and 3 now. I hope you go for it sometime! These palettes are worth the investment in my opinion.